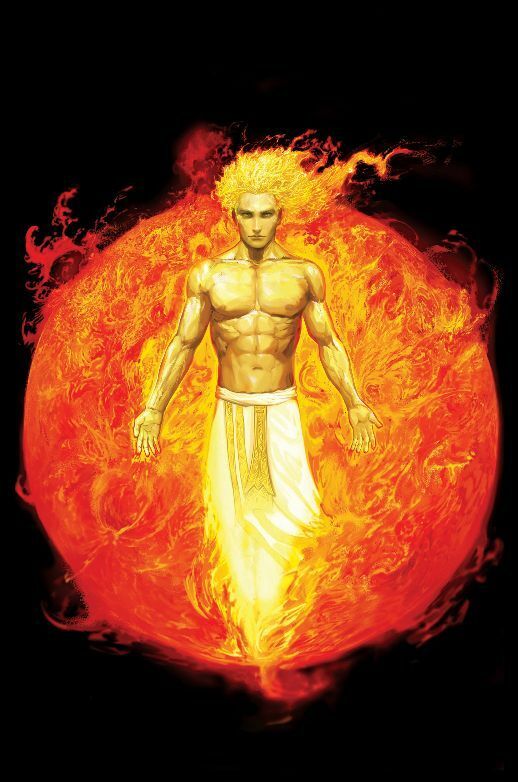 Going by calculations of Yugas, first version of Surya Siddhanta must have been known around 2 million years ago. This book covers kinds of time, length of the year of gods and demons, day and night of god Brahma, the elapsed period since creation, how planets move eastwards and sidereal revolution. The lengths of the Earth’s diameter, circumference are also given. Eclipses and color of the eclipsed portion of the moon is mentioned. This explains the archeo-astronomical basis for the sequence of days of the week named after the Sun, Moon, etc. Musings that there is no above and below and that movement of the starry sphere is left to right for Asuras (demons) makes interesting reading. Citation of the Surya Siddhanta is also found in the works of Aryabhata. The work as preserved and edited by Burgess (1860) dates to the Middle Ages. Utpala, a 10th-century commentator of Varahamihira, quotes six shlokas of the Surya Siddhanta of his day, not one of which is to be found in the text now known as the Surya Siddhanta. The present version was modified by Bhaskaracharya during the Middle Ages. Methods for accurately calculating the shadow cast by a gnomon are discussed in both Chapters 3 and 13. The average length of the tropical year as 365.2421756 days, which is only 1.4 seconds shorter than the modern value of 365.2421904 days ! The average length of the sidereal year, the actual length of the Earth’s revolution around the Sun, as 365.2563627 days, which is virtually the same as the modern value of 365.25636305 days. This remained the most accurate estimate for the length of the sidereal year anywhere in the world for over a thousand years! Not content to limit measurements to Earth, the Surya Siddhanta also states the motion, and diameters of the planets! For instance the estimate for the diameter of Mercury is 3,008 miles, an error of less than 1% from the currently accepted diameter of 3,032 miles. It also estimates the diameter of Saturn as 73,882 miles, which again has an error of less than 1% from the currently accepted diameter of 74,580. Aside from inventing the decimal system, zero and standard notation (giving the ancient Indians the ability to calculate trillions when the rest of the world struggled with 120) the Surya Siddhanta also contains the roots of Trigonometry. It uses sine (jya), cosine (kojya or “perpendicular sine”) and inverse sine (otkram jya) for the first time! It was not until the late 17th century in 1687, that Isaac Newton rediscovered the Law of Gravity. The Surya Siddhanta also goes into a detailed discussion about time cycles and that time flows differently in differently circumstances, the roots of relativity. Here we have a perfect example of Indian philosophy’s belief that science and religion are not mutually exclusive. Unlike, Abrahamic religions, one does not have to dig and try all ways to force scientific truth from scriptures. By contrast it is stated in cold hard numbers by the Sun God, Surya. This work shows that spirituality is all about the search for Truth (Satya) and that Science is as valid a path to God as living in a monastery. It is the search for ones own personal Truth that will lead one ultimately to God. The astronomical time cycles contained in the text were remarkably accurate at the time. a. The tenth part of a chaturyuga, multiplied successively by four, three, two, and one, gives the length of the krita and the other yugas: the sixth part of each belongs to its dawn and twilight. b. One and seventy chaturyugas make a manu; at its end is a twilight which has the number of years of a kritayuga, and which is a deluge. c. In a kalpa are reckoned fourteen manus with their respective twilights; at the commencement of the kalpa is a fifteenth dawn, having the length of a kritayuga. d. The kalpa, thus composed of a thousand chaturyugas, and which brings about the destruction of all that exists, is a day of Brahma; his night is of the same length. e. His extreme age is a hundred, according to this valuation of a day and a night. The half of his life is past; of the remainder, this is the first kalpa. g. Of the present, the twenty-eighth, chaturyuga, this kritayuga is past..
Surya Siddhanta also estimates the diameters of the planets. The estimate for the diameter of Mercury is 3,008 miles, an error of less than 1% from the currently accepted diameter of 3,032 miles. It also estimates the diameter of Saturn as 73,882 miles, which again has an error of less than 1% from the currently accepted diameter of 74,580. Its estimate for the diameter of Mars is 3,772 miles, which has an error within 11% of the currently accepted diameter of 4,218 miles. It also estimated the diameter of Venus as 4,011 miles and Jupiter as 41,624 miles, which are roughly half the currently accepted values, 7,523 miles and 88,748 miles, respectively. Of [the sun’s meridian zenith distance] find the jya (“base sine”) and kojya (cosine or “perpendicular sine”). If then the jya and radius be multiplied respectively by the measure of the gnomon in digits, and divided by the kojya, the results are the shadow and hypotenuse at mid-day. Even today many astrologers in India use Surya Siddhanta as base to compute their Panchangs (Almanacs) in many languages.